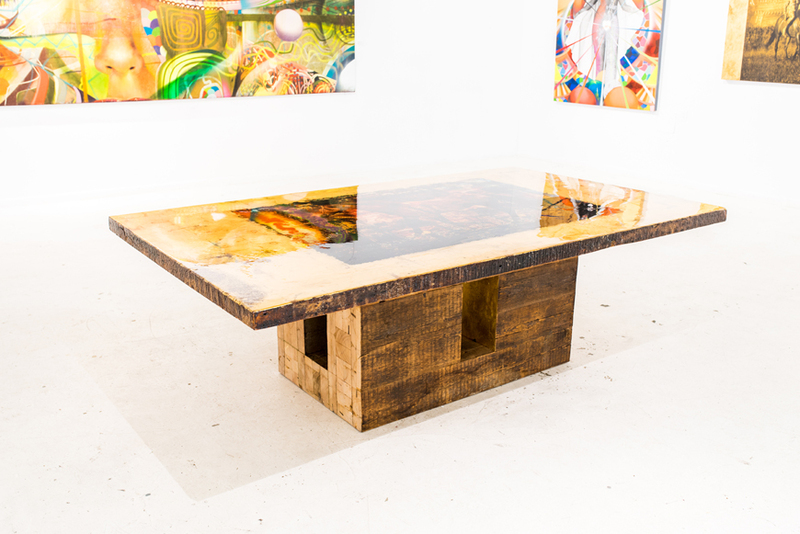 The table is crafted out of reclaimed 150-year-old Douglas fir beams that were salvaged from late 19th century West Village and Upper East Side New York City homes. 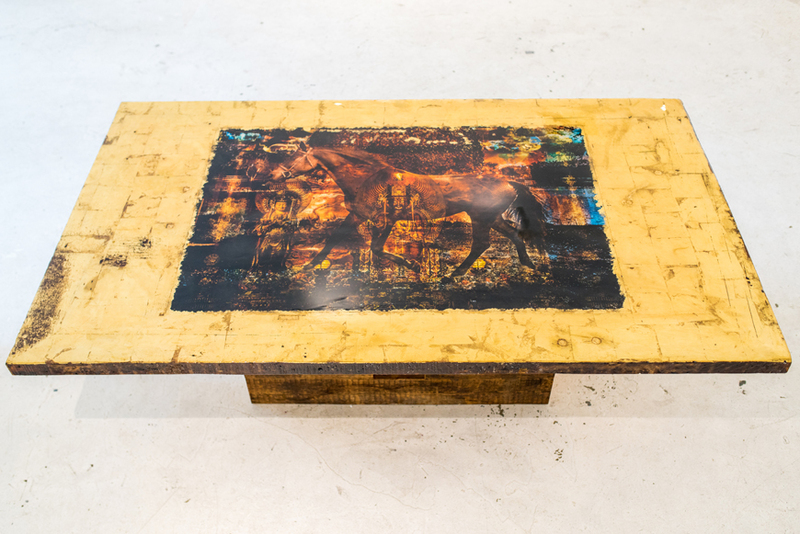 The artwork incorporated within the table, by Daniel Stanford, is a unique blend of photography with collage elements and precise application of gold leaf, water color, Chinese ink, acrylic paint, raw pigments and resin. The artwork is based on a photograph shot by Daniel in 2016 of an Oldenburg Breed Stallion Jumping Horse named Starmont who has won many competitions. Embedded in the painting is a segment of the Buddha Tooth Relic Temple in Singapore. 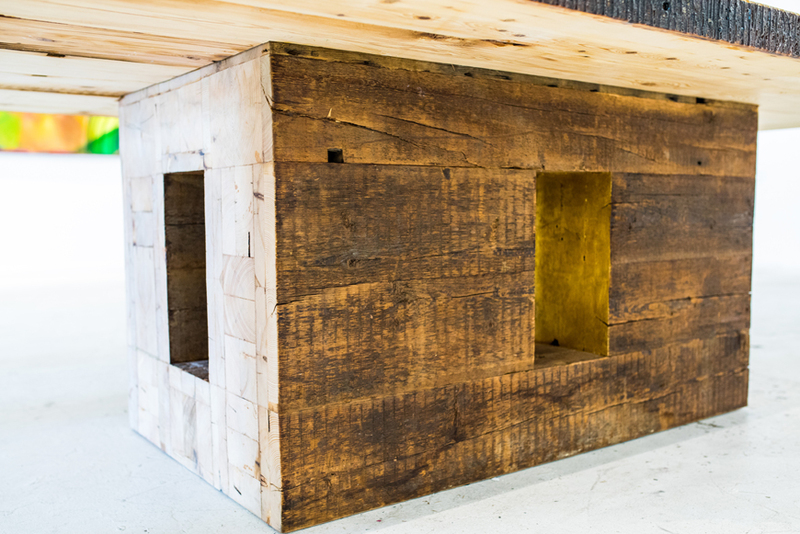 Stanford's use of archival materials reflects the sequence of the five elements – wood, fire, earth; earth gives birth to gold, gold creates water, water makes wood. Meeting Daniel and working collaboratively on this piece has been a very exciting opportunity for Rafael. 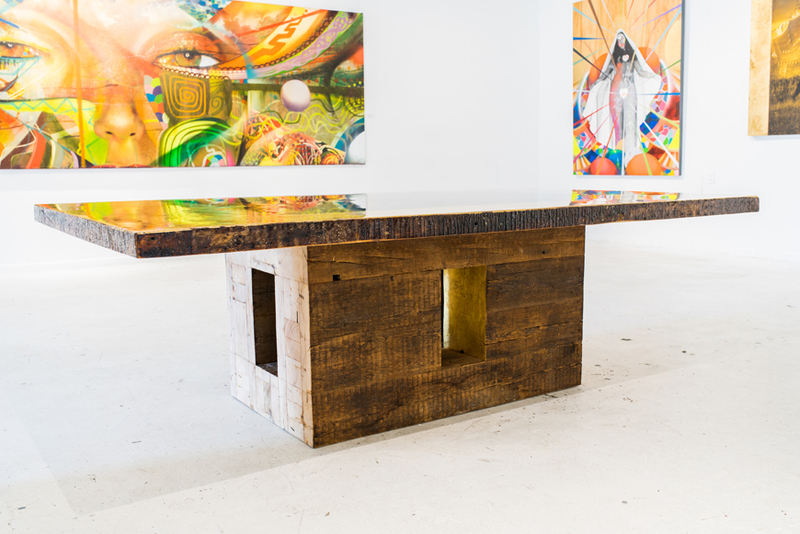 His pieces have always blurred the line between furniture and art, always striving to create one-of-a-kind furniture that would be beautiful and everlasting and would be a centerpiece in people's homes. Daniel Stanford, a Montreal-based eclectic artist, is renowned for his masterful use of mixed media. 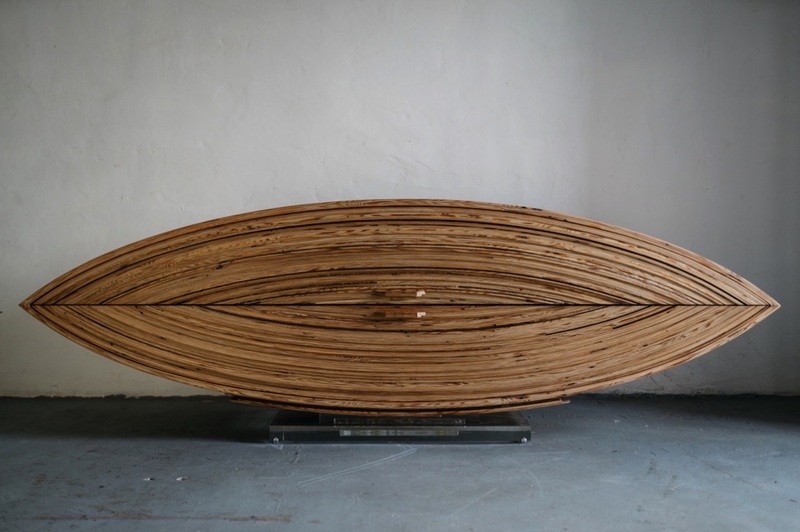 Stanford's expertise lies in presenting his unique vision by combining photography and natural elements such as wood, gold, pigments and precious metals. Always exploring contemporary mediums, Stanford also uses encaustic wax adding a new texture to the work. The result is a multidimensional experience that provides a complex, thought- and emotion-provoking journey for the admirer. Tapping into mysticism, enlightenment and perspective, Stanford thrives on using his work to reflect and re-contextualize inner and outer beauty. This approach to his craft has served Stanford throughout his career, extending from artistic direction to painter and photographer. With over 20 years of experience across the fashion, luxury and branding arenas, Stanford has collaborated with photographers such as Leda Saint-Jacques and Raphael Mazzucco, the latter with whom he has created iconic campaigns for Lancôme, Guess Jeans, Intimissimi Lingerie, Revlon and Victoria's Secret, amongst others. The creative skills he has honed through these experiences deeply inform his work and play an integral role in his aesthetic process. His painting “Arabian Dream” is featured in the 2013 film House of Versace. Embracing the beauty and nuances of far-flung cultures with creativity and intention, Stanford's work continues to take us on a geographical and emotional journey through his paintings and photography. This New work is inspired from early 2016 travels through Japan, Myanmar, Laos, Singapore, Thailand, Hong Kong, and Vietnam shows a commitment to evolving the FASCINASIA series. Opening on September 22nd, Stanford's work will be in his first Museum show “Fifteen Minutes” a show about celebrity art at the Cornell Art Museum in Delray Beach Florida. The Anna Chair is the first in Rafael Calvo's collection. 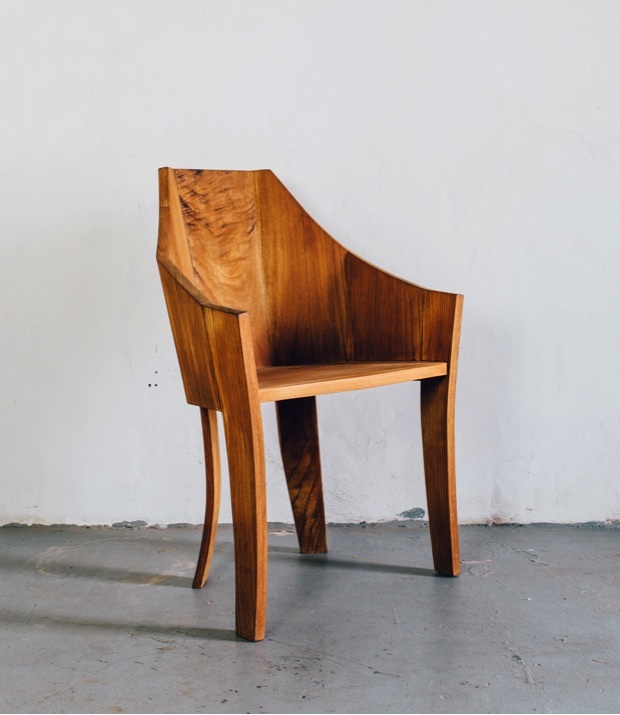 Like all of his pieces the chair was designed and handcrafted in Miami, in line with the brand's aesthetic values and commitment to sustainability. 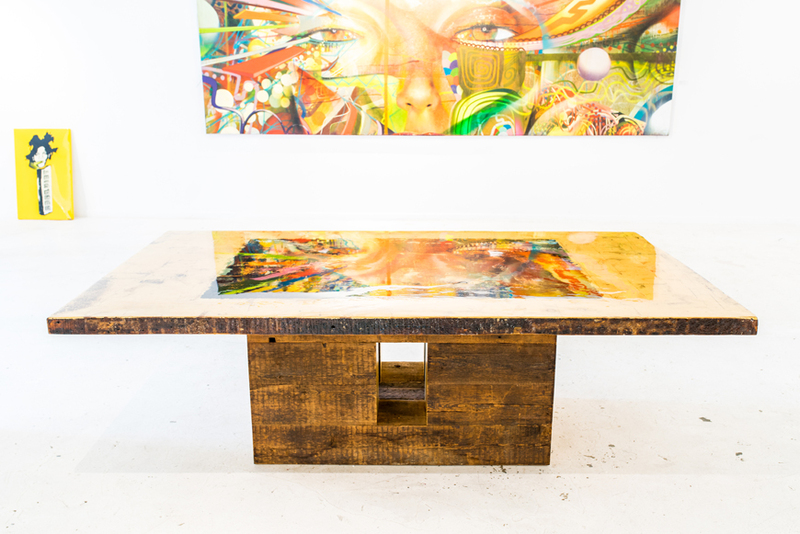 The piece is crafted out of Old Growth Western Cedar and finished with non-toxic oil finish. With this piece it was very important for Rafael not to compromise comfort for beauty, so it is meticulously crafted with every detail in mind for optimal comfort. 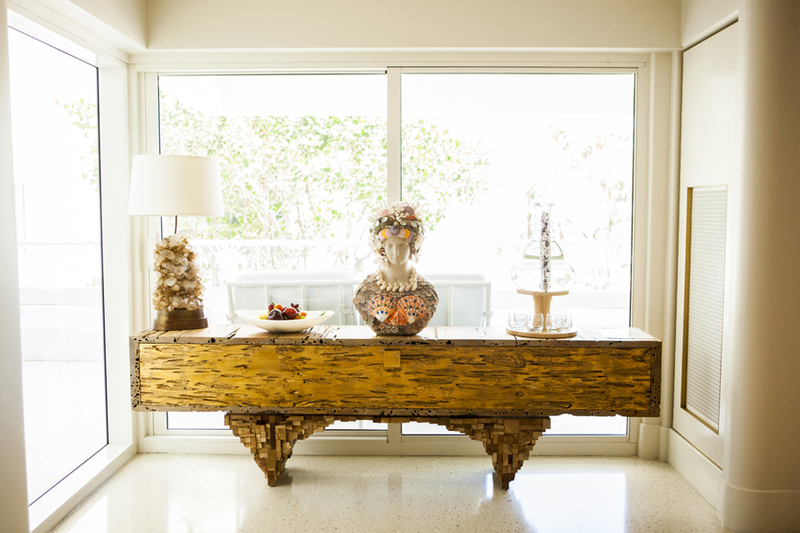 The dresser is composed of reclaimed heart of pine wood, with a acrylic base and gold interiors. This piece was inspired by our signature Heirloom Dresser, which also has a unique curved shape. With two large drawers for storage space, the dresser is both as functional as it is decorative. The Bacio goes beautifully in any large space, specially with artwork hung above it. The shape of the dresser and quality of the wood are both one-of-a-kind for this type of furnishing, and it is sure to be a conversation piece of any home. 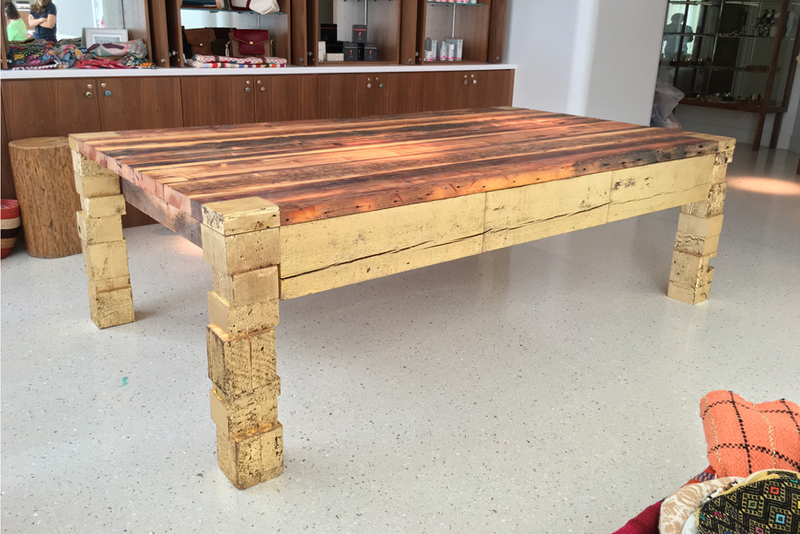 Heart of pine wood is also known for its strength and durability, coupled with the meticulous craftsmanship that went into the making of the Bacio, it’s a guaranteed top-quality treasure. Like all of Karmatika’s pieces, the Bacio was designed and handcrafted in our Miami studio in line with our commitment to producing the highest quality, most unique and luxurious design. 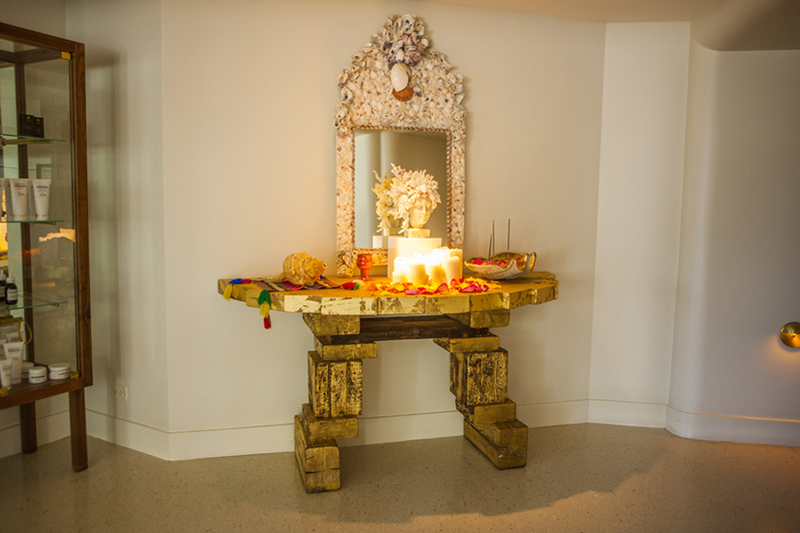 We recently had the pleasure to work with the fabulous new Faena Hotel Miami Beach. Our Royal dresser went beautifully with their spa decor, and we were commissioned to design several other pieces to complete the area. 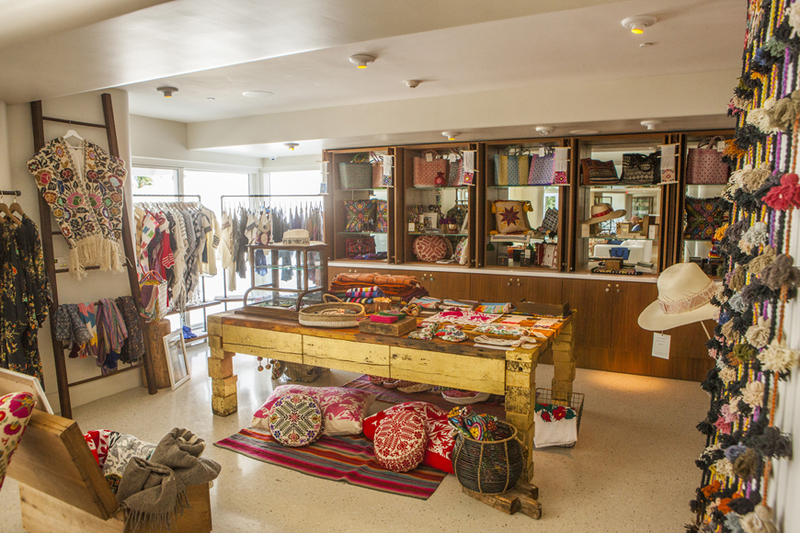 The round console table and the large display table for the boutique are both made of reclaimed, 150-year-old Douglas fir beams covered in gold leaf to compliment the theme and aesthetic of the space. It was really exciting opportunity to work with Faena hotel, as it is not only the new 'it spot' in town but is internationally recognized for its distinct artistic decor and its spectacular design team.